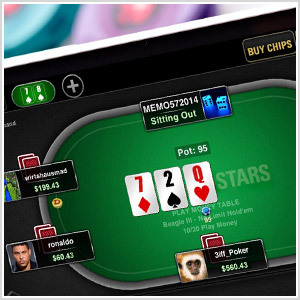 Click here for details on how to qualify for EPT events via PokerStars. COM/EU Stars Account holders can buy-in before an event by going to the ‘Events’ > 'Live' lobby in the game client. Online registration will be available from around six weeks before an event until the end of late registration for the respective event. There is no need to visit the Registrations Desk onsite if you register online – just head straight to the Ticket Collection Desk. Please Note: there are regional restrictions regarding online buy-ins. Please contact our Registrations Team if you are unsure. Pre-registered players can collect tournament tickets from the Ticket Collection Desk once each tournament's registration has opened. Regional and Stars Account status restrictions may apply.